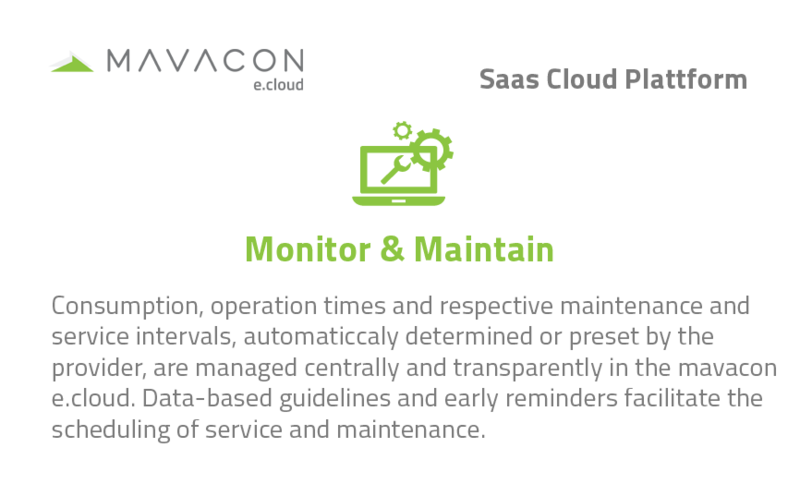 What does Mavacon Power Metering? All data is displayed in real time and converted into structured and clear diagrams. The benchmark function allows you to plan equally your energy footprint as well as filtering out the worst energetic properties to work specifically on the energy optimization. 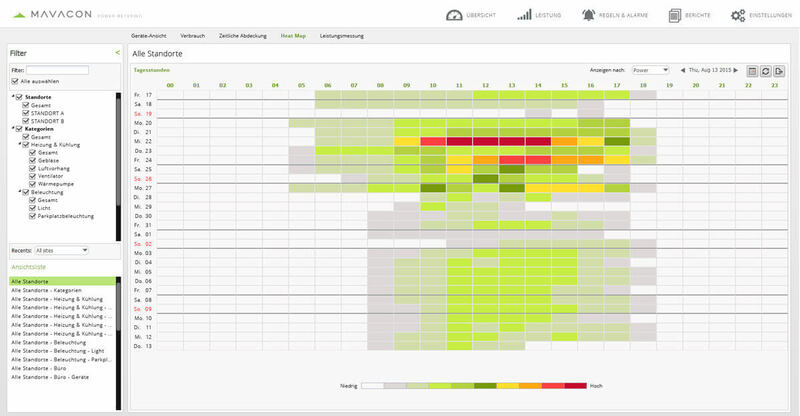 For effective and customized energy controlling the tool is a leader in user experience, analytical skills, performance and flexibility! Customization and clear grouping for small businesses, large companies with multiple locations or for public buildings. Sehen Sie auch unsere Fallbeispiele für: Ladengeschäfte, Bürogebäude und Industrieanlagen. The user receives an accurate graphical representation of the current operating data (such as electricity, water, gas, temperatures, etc.). 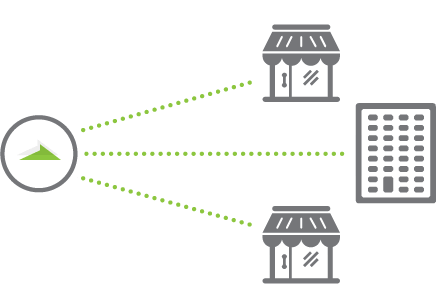 The software processes, thanks to HTTPS protocol, all data secure and confidential. The user can access the information in any web browser. The software can be viewed easily from any internet-enabled computer, tablet and smartphone. Quick overview of the collected energy levels and provides energy and facility managers with detailed performance and operating information. 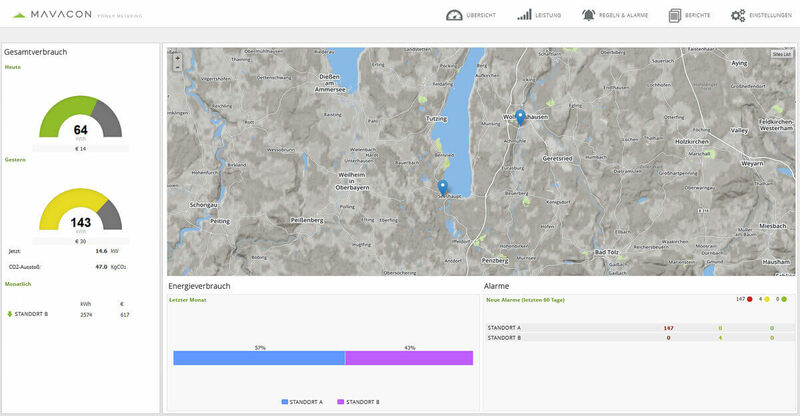 Detailed, central overview of the energy consumption of a single or multiple locations. Past, current and forecast data on energy sectors and trades on the buildings up to the exact total consumption of all detected objects. The performance indicator reflects the actual consumption data in real time. Provides the ability to analyze individual circuits during a certain period, so that wasted energy, consumption or irregularities can be determined precisely. 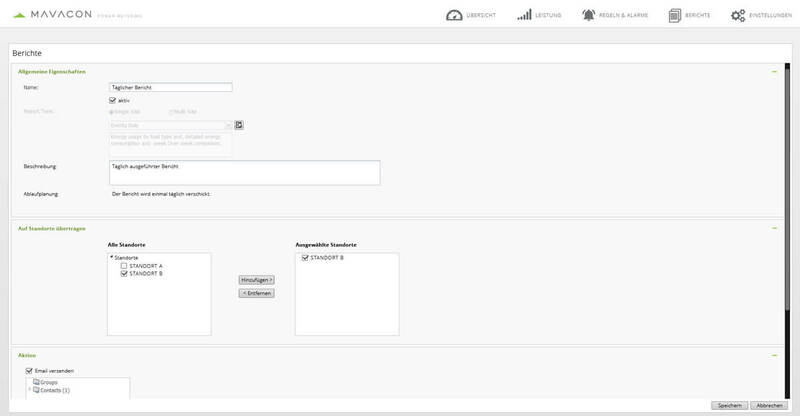 The data can also be easily exported to third-party users or interact directly through the open API. Allows users to view the consumption data per specific location and circuit and to correlate with the ambient or external temperature. Displays by heatmap the energy consumption and displays it visually to make unusualness in energy consumption immediately visible. 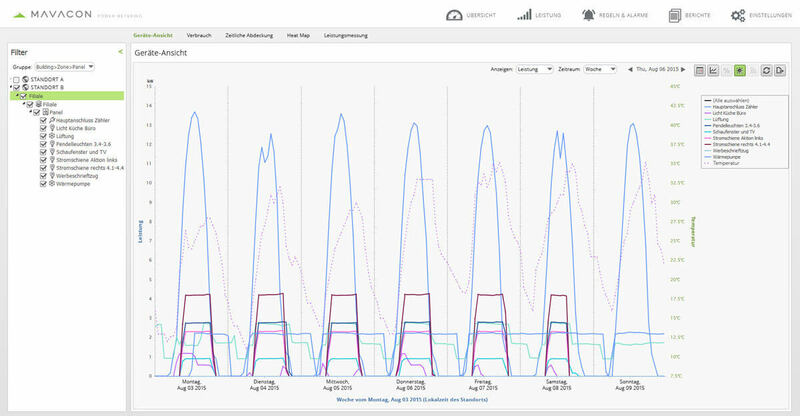 Normalized energy consumption with weather data and other site-specific parameters. Weather-adjusted to compare the efficiency between sites and systems. The user can easily automate complex and rule-based events and alerts through energy patterns, status and thresholds and therefore trigger everyday processes. Different types of predefined alerts can be triggered as soon as a threshold or a combination of threshold and temperature is met. Alarms can be sent via SMS, email or HTTP post notifications to the appropriate persons. 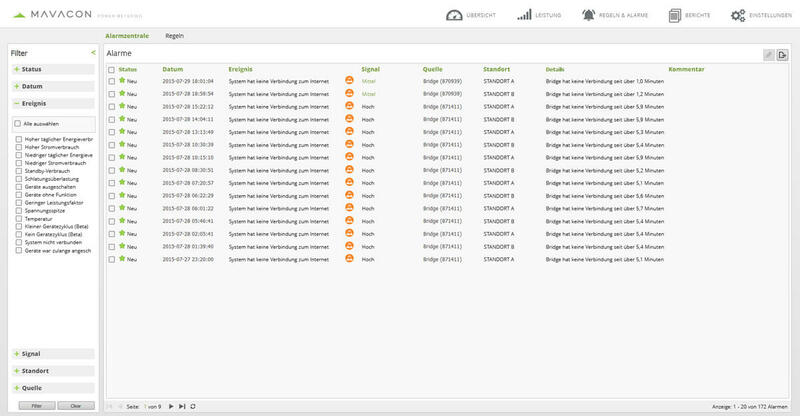 Detailed information on the energy consumption of individual and multiple sites as well as the alarm history can be retrieved for further processing in large reports, exported, and printed automatically. 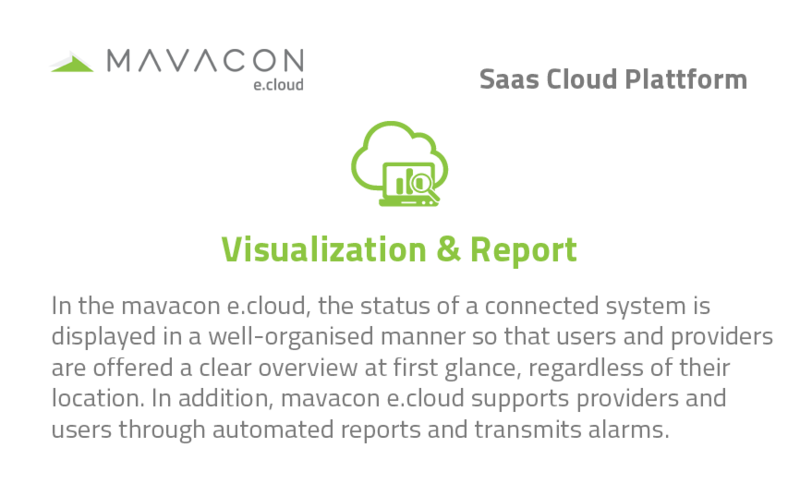 Automatically generated reports can be saved for a predefined schedule for users across the enterprise or sent by e-mail. The software includes a rights-based access control, so that logics, physical location informations, electrical hierarchies as well as action terminations and much more, can be stored and saved only by authorized personnel. 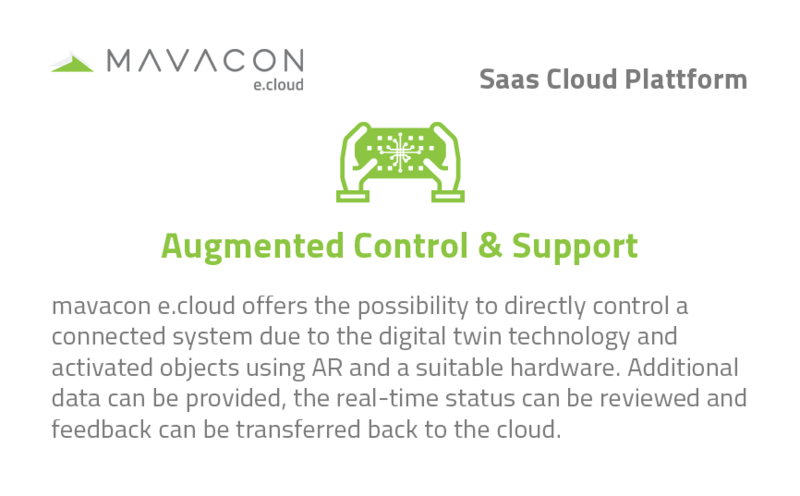 The application was designed to host hundreds of thousands of sensors and circuits through a modular and scalable structure in the cloud. 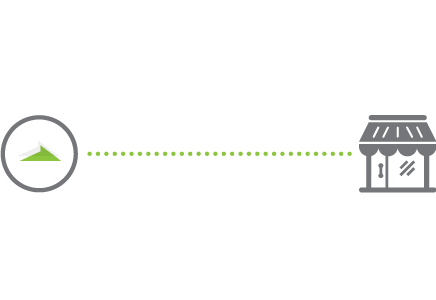 You can manage and support thousands of locations globally and in real time. All data will be back-uped and are available in the archive. The update intervals can be chosen according to need. 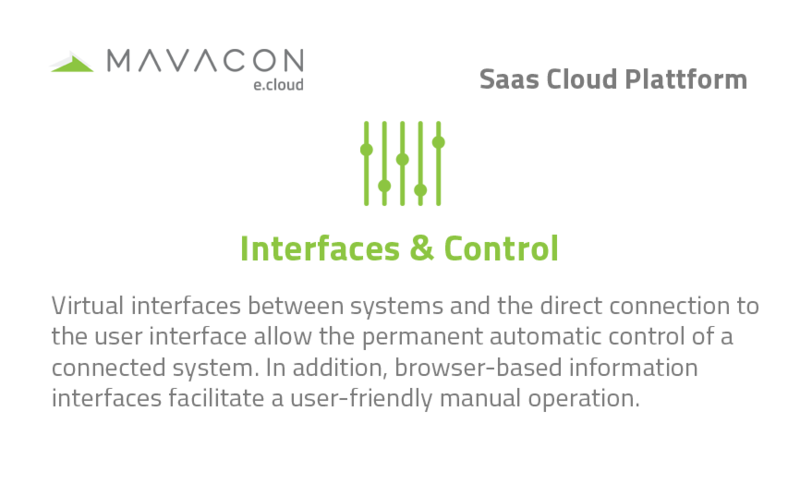 An open API and out-of-the-box adapters allow the integration of third party applications, such as billing systems like, SAP®, Oracle, Sage, Microsoft, Infor, Johnson Controls, Evon XAMControl, Copadata zenon, ODOO, etc. or bus systems such as KNX, DALI, Smart-Bus, G4 bus, DMX, etc. 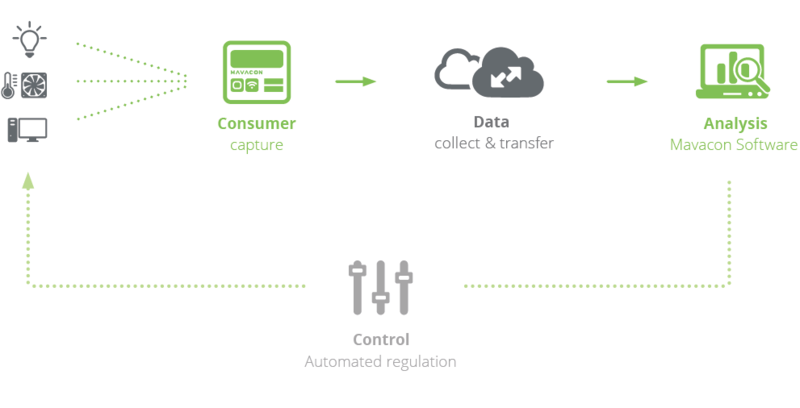 It can also transfer and import data from smart meters and other environmental sensors. All trademarks, logos and company names are the property of their respective owners. 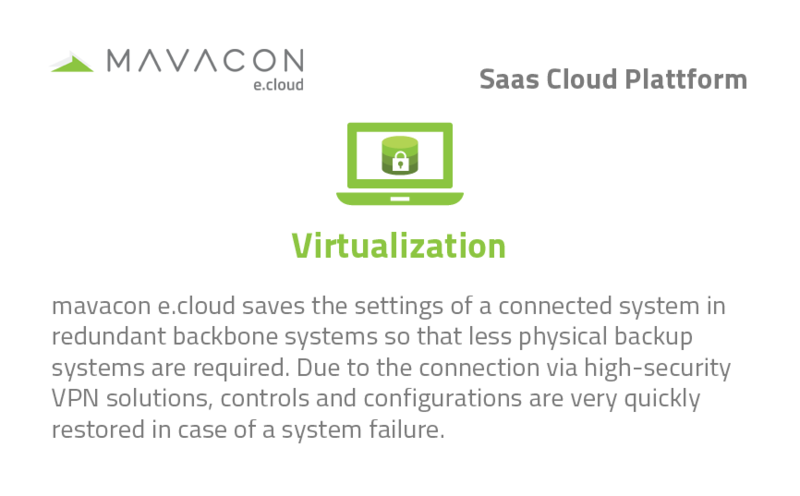 Mavacon helps you to optimize your consumption and energy management to highest efficiency. Quick, clean and simple! Mavacon is a trademark of 010digital GmbH. Do you have a technical problem or need help fast? We are happy to provide you support! You can imagine a collaboration with Mavacon? We want to talk to you about a possible partnership! Do you have any questions or would you like to make an inquiry? Please feel free to contact us in all matters! On this website, the controller has integrated components of Pinterest Inc. Pinterest is a so-called social network. A social network is an Internet social meeting place, an online community that allows users to communicate and interact with each other in a virtual space. A social network may serve as a platform for the exchange of opinions and experiences, or allow the Internet community to provide personal or company-related information. Pinterest enables the users of the social network to publish, inter alia, picture collections and individual pictures as well as descriptions on virtual pinboards (so-called pins), which can then be shared by other user's (so-called re-pins) or commented on. The operating company of Pinterest is Pinterest Inc., 808 Brannan Street, San Francisco, CA 94103, UNITED STATES. With each call-up to one of the individual pages of this Internet site, which is operated by the controller and on which a Pinterest component (Pinterest plug-in) was integrated, the Internet browser on the information technology system of the data subject automatically prompted to download through the respective Pinterest component a display of the corresponding Pinterest component. Further information on Pinterest is available under https://pinterest.com/. During the course of this technical procedure, Pinterest gains knowledge of what specific sub-page of our website is visited by the data subject. If the data subject is logged in at the same time on Pinterest, Pinterest detects with every call-up to our website by the data subject—and for the entire duration of their stay on our Internet site—which specific sub-page of our Internet page was visited by the data subject. This information is collected through the Pinterest component and associated with the respective Pinterest account of the data subject. If the data subject clicks on one of the Pinterest buttons, integrated on our website, then Pinterest assigns this information to the personal Pinterest user account of the data subject and stores the personal data. Pinterest receives information via the Pinterest component that the data subject has visited our website, provided that the data subject is logged in at Pinterest at the time of the call-up to our website. This occurs regardless of whether the person clicks on the Pinterest component or not. If such a transmission of information to Pinterest is not desirable for the data subject, then he or she may prevent this by logging off from their Pinterest account before a call-up to our website is made. The data protection guideline published by Pinterest, which is available under https://about.pinterest.com/privacy-policy, provides information on the collection, processing and use of personal data by Pinterest. We would like to keep you updated about the latest developments that could be valuable for you and your work. Our specialist for complex building and lighting control systems – livebau smart electric – provides our customers and those who are interested with a bimonthly newsletter containing up-to-date information on the topics of automation and smart sensing technology. Our newsletter is for free and your subscription will begin with the next issue of the newsletter. If you no longer wish to receive our newsletter, you can unsubscribe here at any time. 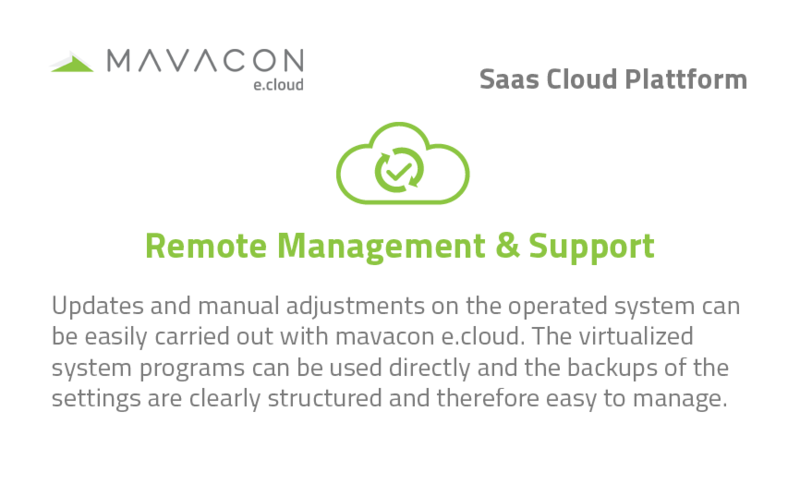 If you have any further questions, please write us an e-mail: service@mavacon.eu.